Imagine a small, intricate desktop puzzle; all the little moving pieces that fit snug together just waiting to be solved. The hand, wrist, and even the elbow are very complex, not unlike the puzzle with very specific positions for each moving piece. As you can now imagine, even the smallest of injuries to this system could affect daily activities in a major way. Dr. Copeland understands these complexities, and how the bones, nerves, and tendons work together in the arm and hand. A lot of problems that affect these upper extremities can be treated non operatively. Problems affecting these joints include arthritis, bursitis, sprains, fractures, nerve compression such as carpal tunnel syndrome, and tendon inflammation such as trigger finger. Injections, physical therapy, and bracing are just some of many of the treatments prescribed to help you, the patient, get on your way to healing. 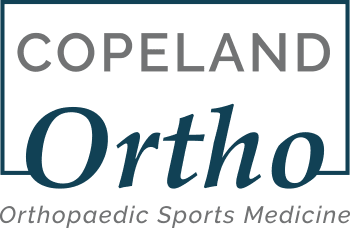 Dr. Copeland is trained in the latest and most advanced techniques in the above injuries to give you the best possible results to get you back on your way to recovery. Disclaimer: This article is not intended to diagnosis or give a comprehensive overview of your pain. This content is for information purposes only. For an official medical diagnosis of your individual orthopedic pain, consult Dr. Copeland in clinic via appointment.